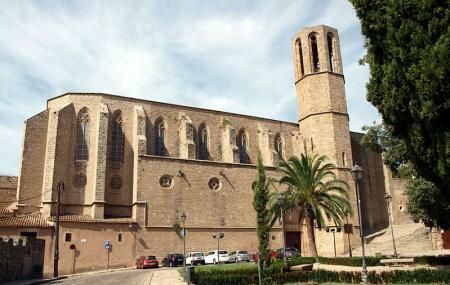 The Monastery of Pedralbes comprises a church, the monastery and a museum. It was founded by King James II of Aragon for his wife Elisenda de Montcada in 1326 and is administrated by the nuns of the Order of Saint Clare. The building itself is a fine example of gothic architecture and construction was completed in a short time preventing any other influences in the design. Inside the building also lies the tomb of Queen Elisenda. On the right of the church is the entrance to the monastery where you will find St. Michael's chapel, which has beautiful frescoes depicting scenes from the lives of Jesus and Mary. The museum is located in what was formerly a dormitory for the nuns. Here you will find religious art and objects collected by the nuns over the centuries. The collections include paintings, ceramics, furniture, silverware, textiles, paper and parchment. The gardens of the monastery are also worth taking a stroll. Visit here on a hot day, as the interiors are pleasant and cool. There is also a bookshop, a restaurant and souvenir shop on the premises. Entry is free for the Children under 16 years. How popular is Monasterio De Pedralbes? People normally club together Palacio Del Flamenco and Barcelona Museum Of Contemporary Art while planning their visit to Monasterio De Pedralbes. An ancient monastery with well preserved artifacts. Has paintings and vessels starting from the 14th century. There are guidebooks in various languages which is helpful in looking at the description of each artifact. The reception is really friendly and helpful, and there's a discount for all European students, not just Spanish. Worth a visit if you're in Barcelona. A beautiful 12th century monastery. Tucked in a more out of the way corner of Barcelona, it's quiet and serene. The garden, courtyard is my favorite part. Entrance fees are 5€ and another .60 for an audio guide. It is a good option if you have extra time in Barcelona and are looking for something off the beaten path! Unique. Thanks to a planned tour we visited this monastery that is usually bypassed by fast tours tourists. Very beautiful. So glad we found it on a free entry day. It clearly has some merit or people wouldn't bother to visit. Very dull and uninspiring.